Well, this definitely isn't your average Friday night. 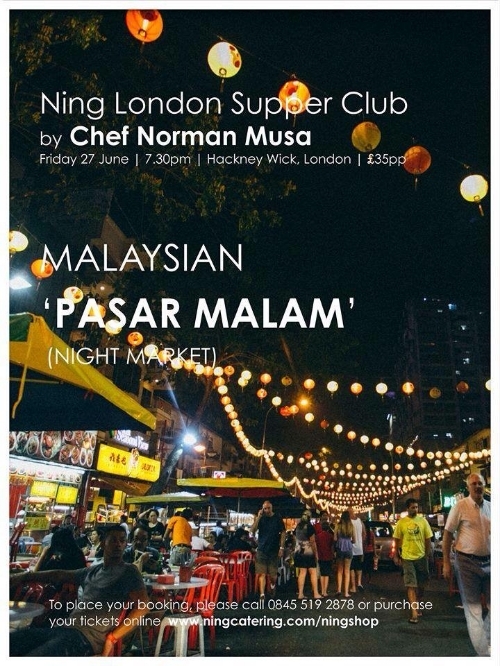 Malaysian Masterchef star and Ning restaurant supremo Norman Musa is cooking up a storm in the kitchen for a Pasar Malam (night market) themed supperclub in Hackney Wick. The exotic banquet definitely delivers in giving an expansive taste of the country, opening with murtabak (the traditional savoury pancake) and chicken satay. Moving on the main course, it's nasi ayam (ginger and garlic chicken served with rice), ayam golek (grilled chicken with lemongrass, galangal and honey) served with oodles of noodles. Dessert is sweet pancakes and shaved ice with a range of toppings including rose sugar syrup. It's BYOB (with a small corkage charge), and tickets cost £35 from here. We may be long gone from Brazil and the World Cup, but that doesn't mean we can't still have the Latin American spirit in us. Even if it is just cachaca (*ba-dum tish*). 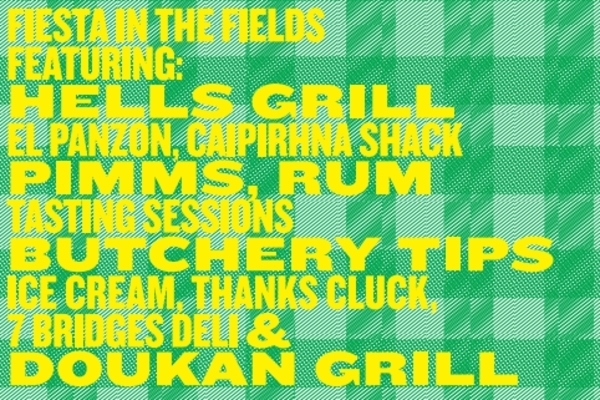 Feast In The Fields - hosted by The London Fields Brewery and their Brewhouse - is going loco and becoming Fiesta In The Fields for the one day today. If you've not been to one of their previous shin-digs, expect 12 hours of food stalls, craft activities for kids and of course, booze. Today, there's Hell's Grill on the BBQ, caipirinha stalls, rum tasting and El Panzon tacos are celebrating their 10th birthday, so if you bring them a card, you'll get a free plate of tacos. Ole! Tickets are £4, it runs from midday to midnight at 369-370 Helmsley. Tickets from here. Brunch sometimes isn't just a meal, but a way of life. And for those who hit it too hard last night, help is in hand in the form of Andy Bates' First Aid Rescue Brunch. 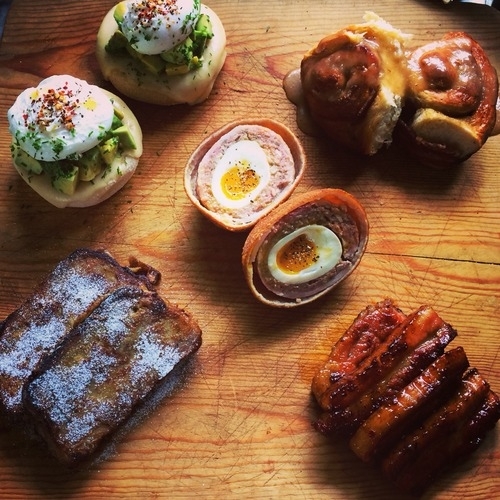 Breathing life back into the old dog, the £20 pop-up includes a blue cheese bloody mary, a half breakfast scotch egg (hel-lo), avocado and egg stack, finishing with French toast with pecans and maple syrup. It's going to be food-coma central after plowing through that lot, but what a beautiful state you'll be in. Almost ready to get back on it, actually. The brunch runs 11am - 4pm at Unit G2, Stamford Works, 3 Gillet Street, tickets available from here. Also on Saturday, too. P.S. For those Glastonbury bound and in need of a decent feed (whatever your plans, you're definitely going to need refueling by Sunday) check out our friends at The Beat Hotel. St John's chef Chris Gillard has created a menu including buttermilk pancakes and Gloucester Old Spot bacon for breakfast (droool) and then fried chicken and pulled pork sliders for lunch. Soulshakers will be on hand with restorative cocktails (we've been pulled back to life in previous years with their bloody mary). Also keep an eye out for Voodoo Ray's mobile pizza truck - there's nothing a slice of their good stuff won't fix.